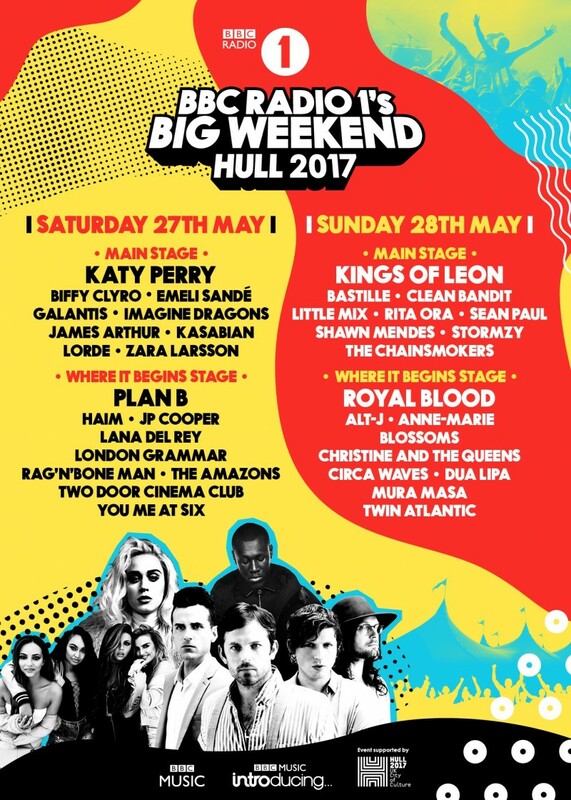 This year BBC Radio 1 are taking their Big Weekend to Hull, and Two Door Cinema Club will be joining the party. They'll be playing on the Saturday 27 May on the 'Where It Begins' stage. All the tickets have now been allocated, if you weren't lucky enough to get one, there are apparently going to be competitions on BBC Radio 1, alternatively you can watch the broadcast live. For now though, head to YouTube to watch their performances from 2011's Big Weekend in Derry-Londonderry, or their more recent performance on BBC Radio 1's Live Lounge with Clara Amfo. Before the weekend, Alex will also be in Hull to perform a piano session during Radio 1 Academy, Ben from Blaenavon will be doing the same thing. Keep an eye out for broadcasts of those, more information here.